Allred, Kelly W. and Frank W. Gould. 1978. Geographic variation in the Dichanthelium aciculare complex (Poaceae). Brittonia 10 (4) 497-504. Anderson, K. 2003. 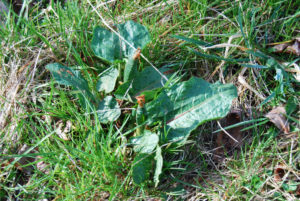 A Checklist of the Plants of New Jersey. Woodbury, NJ. Atha E., Daniel, Michael H. Nee and Robert F. C. Naczi. 2011. Persicaria extremiorientalis (Polygonaceae) is established in the flora of eastern United States of America. Journal of the Torrey Botanical Society, Volume 137, Number 4, pages 333-338. Aukema, Juliann. 2003. Vectors, Vicium, and Viscaceae: mistletoe as parasites, mutualists, and resources. Frontiers in Ecology 1(3) 212-219. Britton, N. L. 1889. Catalogue of Plants Found in New Jersey. Final report of the State Geologist, Vol. II, pp. 25-619. Minerology, Botany, Zoology. Geological Survey of New Jersey. Brown, Walter V. and Bruce N. Smith. 1975. The genus Dichanthelium (Gramineae). The Bulletin of the Torrey Botanical Clun. Vol. 102 (1) 10-13. Flora of North America Editorial Committee. 2003. Flora of North America North of Mexico. Vol. 4, Magnoliophyta: Caryophyllidae, part 1. Oxford University Press, New York. Gleason, H. A. 1952. The New Britton and Brown Illustrated Flora of the Northeastern United States and Adjacent Canada. Vols. 1-3. The New York Botanical Garden, Bronx, NY. Gleason, H. A. and Cronquist, A. 1991. Manual of the Vascular Plants of Northeastern United States and Adjacent Canada, Second Ed. The New York Botanical Garden, Bronx, NY. 910 p.
Gould, F. 1974. Nomenclatural Changes in the Poaceae. Brittonia 26: 59-60. Gould, Frank W. 1980. The Mexican species of Dichanthelium (Poaceae). Brottinia Vol. 32 (3) 353-364. Gould, F. and C.A. Clark. 1978. Dichanthelium Poaceae in the United States and Canada. Annals of the Misouri Botanical Gardend. Vol. 65: 1088-1132. Hansen, Bruce F. and Richard P. Wunderlin. 1988. Synopsis of Dichanthelium (Poaceae) in Florida. Ann. Missouri Bot. Gard. 75: 1637-1657. Hough, M. Y. 1983. New Jersey Wild Plants. Harmony Press, Harmony, NJ. Kartesz, J. T. 1999. A Synonymized Checklist and Atlas with Biological Attributes for the Vascular flora of the United States, Canada, and Greenland. First Edition. In: Kartesz, J. T. and C. A. Meacham. Synthesis of the North American Flora. Version 1.0. North Carolina Botanical Garden, Chapel Hill, NC. Lutz, H. J. 1934. Concerning a Geological Explanation of the Origin and Present Distribution of the New Jersey Pine Barrens Vegetation. Ecology 15: 399-406. Moerman, Daniel E. 1998. Native American Ethnobotany. Timber Press, Portland Oregon; 924 pgs. Montgomery, J. D. and D. E. Fairbrothers. 1992. 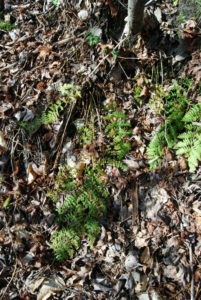 New Jersey Ferns and Fern Allies. Rutgers University Press, New Brunswick, NJ. 293 p.
Overlease, William and Edith. 2003. A Field Study of the Distribution, Abundance and Host Species of Mistletoe (Phoradendron flavescens) in Eastern United States. Private Publication. Overlease, William and Edith. 2005. Our Search for the Mystical Mistletoe. A Field Study of the Distribution, Abundance and Host Species of Mistletoe (Phoradendron fserotinum) in Eastern United States. Author House, Bloomington, Indiana. Stone, W. 1911. The Plants of Southern New Jersey with Especial Reference to the Flora of the Pine Barrens and the Geographic Distribution of the Species. Part II, Report of the New Jersey State Museum 1910. Trenton, NJ. p. 25-828 + CXXIX plates. Zuloaga, F.O. 1987. Systematics of New World Species of Panicum (Poaceae) Pp. 287-306 in T.R. Soderstrom et al, eds. Grass Systematics and Evolution. Smithsonian Institution Press, Wash. DC, 473 pp.